22-year-old Matthew Gaal, currently in his 4th year studying music education at Ohio State University student, was determined to use his musical training and passion for music to positively influence the youth. With this in mind, Matthew decided to sign up with the Projects Abroad Music Project to volunteer for 3 months in Jamaica. 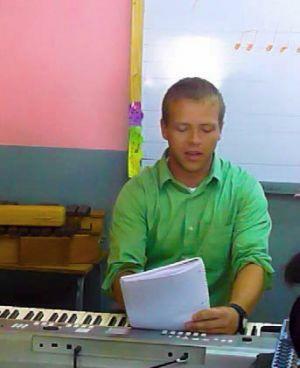 “I was looking for an overseas program with a musical education component. I looked at Mexico and Bolivia, but Jamaica was the only place that had a program in the school system,” Matthew explains. 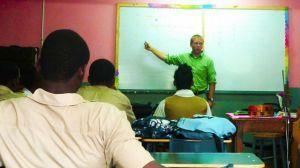 During the 3 months that he spent in Jamaica, Matthew volunteered at May Day High School in Mandeville. On a typical day, Matthew would teach, grade assignments and assist the supervising teacher, working with students from 7th to 11th grade; with classes of over 40 students. The experience at the Music Project has proven invaluable to Matthew as his time volunteering will be beneficial for his research paper on music education in Jamaica for university. Matthew says the school needs help because of its limited resources, adding that Projects Abroad brought a multi-cultural perspective that inspires learning in a positive way. Matthew’s most memorable experience is “always feeling welcome. I love that it’s warm here! I was very surprised that random people would say hello and talk to me - I cannot complain!” he adds.